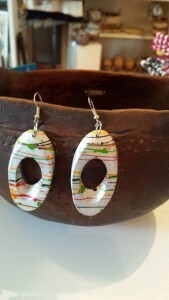 These beautiful handmade earrings are made in Kenya by Kenyan Artisans. 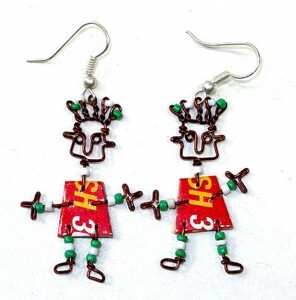 They are made from brass wire and three white beads. The large oval white center glass bead has a swirl design in it. 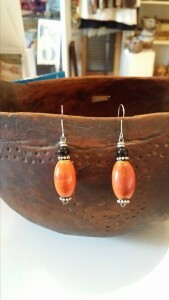 The largest bead measures 1/2″ across. 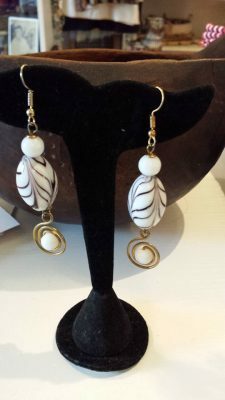 Attached to the earring is a brass wire coil that entwines a white round glass bead. 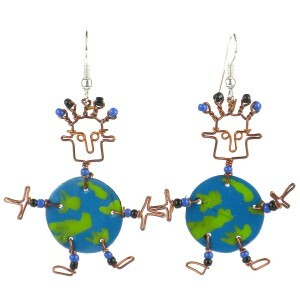 These earrings measure 3” in length. 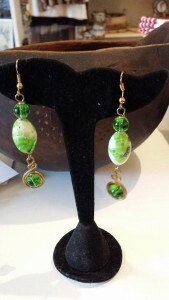 They are a true One of a Kind and will complement any outfit.